Give your backyard and outdoor space a new look with this stylish and tiltable market umbrella that’s perfect for entertaining friends and family. For outdoor entertaining all year round, trust in the Komodo Outdoor Market Umbrella to protect your friends, family and food in rain, hail or shine. 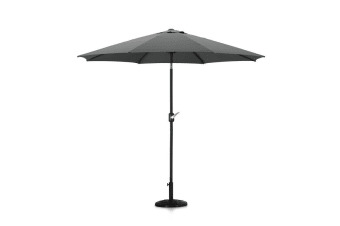 The Outdoor Market Umbrella features a large and tiltable design that’s perfect for any outdoor space. With a diameter of 9 feet (2.7m), this umbrella can shade large spaces making it ideal for use over outdoor furniture or even by the pool. 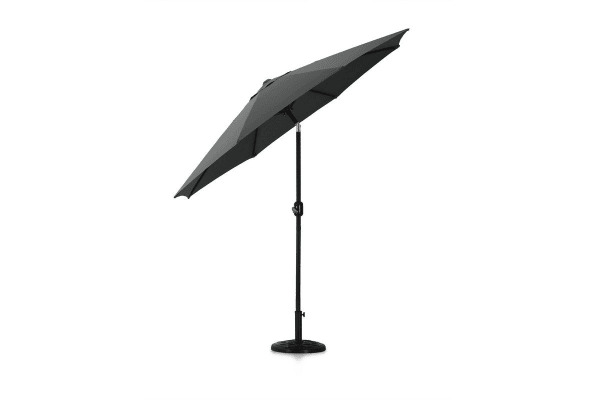 With an innovative tilt design and fade-resistant material, this umbrella provides excellent coverage from the sun and allows for optimal protection throughout the day as the sun rises. Its stylish and timeless design also makes it perfect to use all year round – air vents allow for wind and heat ventilation during the hot summer while the durable construction also makes it strong enough to protect your guests from the winter rain. Actual colours may differ slightly from what is pictured.